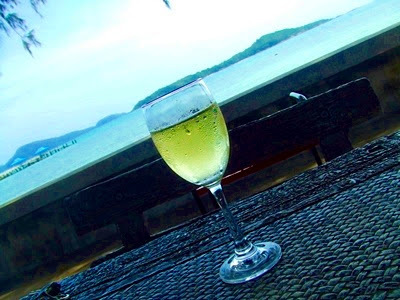 Phuket is blessed with many seaside restaurants – but Salaloy on Rawai Beach gets kudos not only for the gorgeous view and sea breezes, but fresh, tasty seafood, prepared Thai-style! Steer clear of the pork, chicken etc on the menu – the only thing to eat & celebrate here is frutti di mare! It is a popular lunch spot for local residents, both Thai and Foreigner, so if you rock up on a Saturday or Sunday you may find it full during peak hours. The wine list is not the focus at Salaloy, so take a page from the locals (who typically bring along a few soldiers of Johnny Walker Black) and BYOB to avoid disappointment…or just order a cool beer. 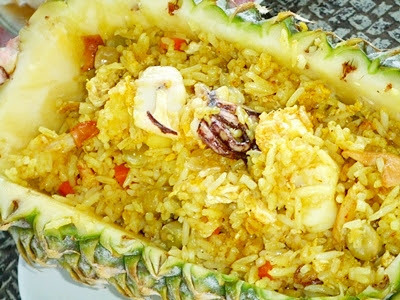 The deliciously-moist and succulent curry fried rice with fresh seafood & pineapple marries sweet & savoury beautifully. The presentation in a fresh pineapple is genius. Som tam (spicy papaya salad) is a MUST. Salaloy is one of the few places that serve it with super fresh raw crab…even though I am a native of the city of crabs (Baltimore), I have never tasted a creamier, sweeter tasting crab than this. If you can’t take too much heat, ask them to put only 1 chili inside, but please don’t ask for som tam with no chilies – that’s like asking to watch the Godfather with no guns! 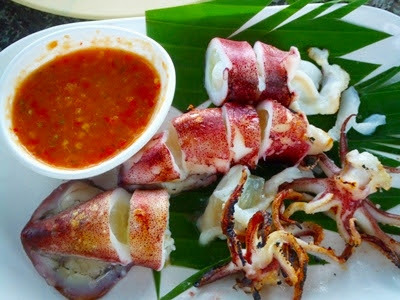 Tender, fresh squid barbequed and served with my fave super spicy sauce, nam jeen seafood (made with tons of chilis, limes & garlic). 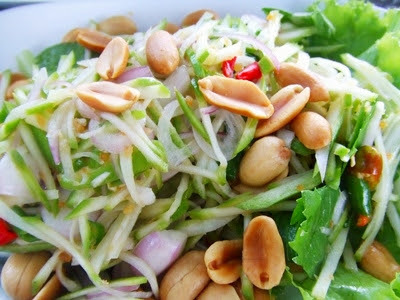 The spicy mango salad is in turns, delicately sour, but also fresh-tasting with coriander and crunchy with peanuts. This was served with a perfectly cooked fried fish, but it was SO delicious that we ate most of it before I remembered to take a picture…next time. 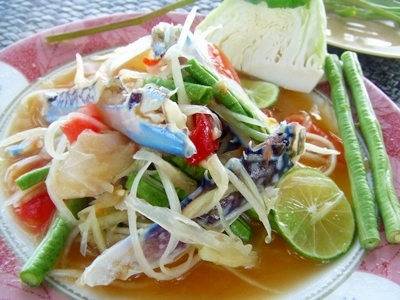 Salaloy is located directly on Rawai beach at the very southern-most tip of Phuket. If you’re driving from Chalong, once you make the right turn from Viset Rd, it is the first beach restaurant on your left after Nikita’s (where the boardwalk/sidewalk begins).